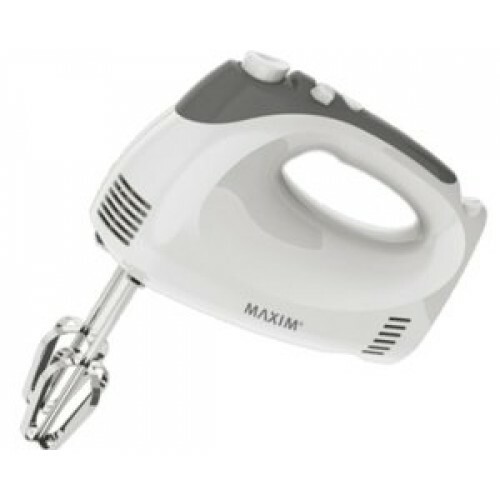 The Maxim Hand Mixer packs 250w of power, allowing you to mix doughs, batters, whip cream and much more. The Turbo Power Trigger gives you a boost of mixing power any time you need it. Features 5 speed settings giving you versatility in mixing. With a sturdy ergonomic handle, easily detachable hooks and very easy cleaning, this hand mixer is a perfect tool for your kitchen.